If you are dreaming for iPhone 5 and can’t buy it good news for you. HTC has unveiled their next generation flagship Android smartphone HTC One X+, a refreshed version of its award winning HTC One X smartphone. 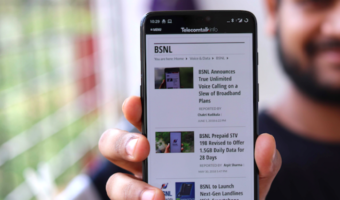 When you go through the specs of this smartphone, you must agree that it is a monster. HTC One X+ comes with some exclusive featuresets – Android 4.1 Jelly Bean, HTC Sense UI 4+, 1.7 GHz quad-core NVIDIA Tegra 3 AP37 processor, 1GB RAM, ULP GeForce GPU, 4.7 inch 720x 1280 pixel Super LCD2 display with capacitive touchscreen and Corning Gorilla Glass 2, 8 MP camera with LED flash, f/2.0 lens and ImageChip-assist, HD video recording, 1.6MP front camera supporting [email protected] video recording and 64GB internal storage. On connectivity front it has 3G/HSPA, Wi-Fi 802.11 a/b/g/n, dual-band, DLNA, Wi-Fi hotspot, Bluetooth 4.0 with A2DP, NFC, microUSB 2.0, GPS (A-GPS/GLONASS), Sensors (Accelerometer, gyro, proximity, compass) and 3.5 mm audio jack with Beats Audio sound enhancement. It comes with 2100 mAh Li-Ion battery. One X+ will support microSIM only and adds 25GB Dropbox storage. With those improvements HTC One X+ LTE version is up to 67% faster than the HTC One X1 LTE. 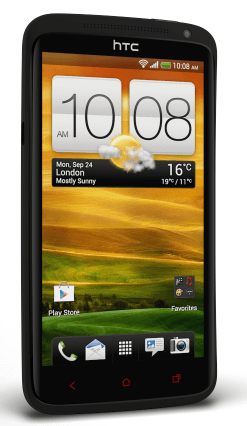 Developed to be lightning fast, the HTC One X+ enables quicker web browsing, fluid gaming and graphic rendering, and speedy downloads, providing effortless usage on the go. HTC One X+ will offer 50% more battery back up than One X.
HTC adds some cherry on the top: HTC Get Started: a web-based service that lets users manage initial setup from the desktop for one-click installation on the phone itself. HTC Watch 2.0: Get exclusive access to tons of movies. There were strong rumors for HTC One X+ for last months and HTC will not disappoint you if you are waiting for. In next 2 months Europe, North Asia and South Asia will get this phone. HTC is very good company ,I love thier phone,very good quality very trustable like Apple. HTC one x is another strong addtion to thier line up.